Notepad printing as an advertising tool. Looking for a way to impress your clients? In addition to that, are you looking for a way to advertise your company? Well you come to the right place, which is the one and only Image Magic, where all your problems can be solved by us. 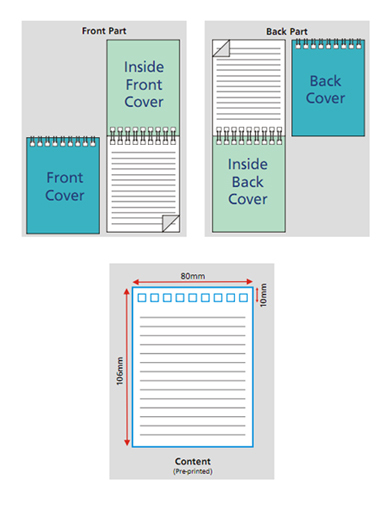 We offered notepad printing services in small and big quantities and yet at a very affordable price! These particular notepads can also be distributed to any of your potential clients to get your brand or company noticed. You can get your notepad covers with your very own logo and name, which is a brilliant way to get your brand recognized. If you have problem ordering online, please email us at sales@imagemagic.com.my or call 03-2072 6323 for more information. We will be able to assist you in ordering the Notepad.